Single-use systems have gained a surprisingly strong foothold in the drug manufacturing market thanks to improved extractables and leachables studies. Not long ago, concerns about leachables were expected to restrict adoption of single-use systems. The 2015 BioPlan Report and Survey of Biopharmaceutical Manufacturers found three-quarters of respondents agreed or strongly agreed that this concern limited their adoption of single-use systems. Yet three years later, the same annual survey found high adoption rates for these disposable systems. It appears the worries had vanished. According to the 2018 BioPlan report, pre-commercial bioprocessing was dominated (approximately 85 percent) by single-use systems.2 The report provides a composite view and trend analysis from 222 responsible individuals at biopharmaceutical manufacturers and contract manufacturing organizations in 22 countries. Nitto Avecia Pharma Services has contributed to the growing adoption of single use system by providing successful extractables and leachables services. In one case, the company investigated disposable bioprocess bags for a small molecule drug substance. The bags were made of an advanced medical-grade film — a five-layer 14 mil cast co-extruded polyolefin film. The outer layer was a polyester elastomer co-extruded with an EVOH barrier layer and an ultra-low-density polyethylene product contact layer. The layers of the film also included co-polyester ether, a blend of maleic anhydride modified and unmodified polyethylene, ethylene vinyl alcohol, and an ethylene alpha olefin material. Commercial bag sizes can vary from less than 1 liter to more than 1,500 liters. 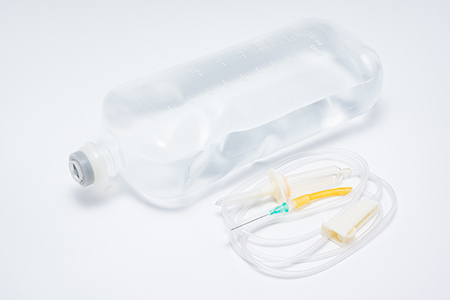 These E&L studies examined two types of 100 mL disposable bioprocess bags. Analysis of Soxhlet IPA/Heptane/H2O extractions for polar, non-polar and aqueous extractables. The controlled extraction study found the following 20 potential leachables. The biggest challenge of the Nitto Avecia Pharma Services study was determining the structure of an unknown peak on the MS/MS scan. This was found to be an Irgafos 168 degradant called bis(2,4-di-tert-butylphenyl) phosphate. The study team had to synthesize the degradant because there was no authentic standard. It conducted synthesis, characterization, method development and validation, and quantitation of the sample in the bioprocess bags throughout the shelf-life studies. The outcome was a report giving the client more confidence to use the disposable system for its drug substance. Clearly, advances in manufacturing quality such as those achieved by Nitto Avecia Pharma Services are bringing renewed interest in single-use systems. Future data from Bioplan and other market research firms may show expanding adoption of disposables. 1. Eric Langer. Leachables And Extractables In Single-Use: Trends and Expectations Over Plastics Innovation. Bioprocess Online, March 5, 2015. 2. Ronald A. Rader, Eric Langer. Fifteen Years of Progress: Biopharmaceutical Industry Survey Results. PharmTech.com, July 2, 2018. 3. Best practices guide for evaluating leachables risk from polymeric single-use systems used in biopharmaceutical manufacturing. Biophorum Operations Group, April 2017.